The Americans have Westerns, the Chinese have martial arts, and Scandinavians have Viking films. They are movies about actual history, more or less. But wait, what is an Italian doing making a Viking film? You would never see a Norwegian make a documentary about pasta or a Swede direct a cowboy flick. In the outskirts of a small Viking village lives a woman and her young son. They are terrorized by the enemny of her husband, who is out on a pillage cruise and unable to protect his family. Coincidentally, a mysterious stranger appears, and saves the family and keep them safe until the man of the house unexpectedly returns home. The idea of an Italian horror/giallo/thriller director, in the middle of the Spaghetti Western era, making an exploitive Viking film will be irresistable to many. Most of us don’t mind a bit of fantasy or factual slackness either. But boredom can not be forgiven. 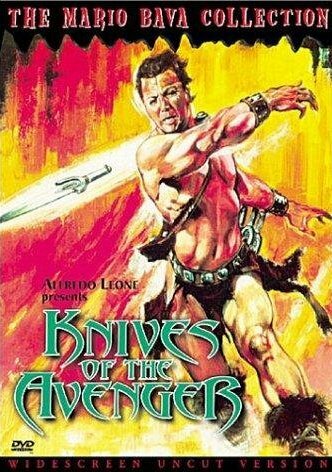 Unfortunately, Knives of the Avenger (aka. I Coltelli del Vendicatore, Viking Massacre, Bladestorm) is not the fun ride it could be. There is a few action scenes, but most of them are repeats from earlier in the movie, and not very inventive either. The is one outdoor fight sceene that is somewhat interesting, as it’s shot in one long take, but apart from that, the potential of Viking rage, brutal killings and heavy swords is not used at all. Obviously the budget was not high, and sometimes little money force you to be more creative, but sadly that did not happen here. They didn’t even have money for blood or fun ways of killing people, which is the chepeast kind of special effects. Too bad, because this movie needs only so little to become passable. Besides, the story feels more like a Western than anything Viking. Actually, the story has nothing to do with Vikings. No mythology, no politics, no historical events to link it to Nordic Vikings. While the storyline is more complex than you’d think, the core idea is very simple (a revenge story is often simple) and the progress is drawn-out. Most of the movie lacks events and spectacular moments as well. Technically, the movie is not very Viking either. Some of the weapons look more ancient Roman than Nordic, the costumes are basically Roman with fur, and the Viking village looks like a Western set, which is not unlikely since they shot lots of Western movies in Italy at that time. I am pretty sure that Vikings did not have liquor bars either. The environment and landscapes definitely do not look Nordic, as is the case with the actors. The fact that this Viking film is basically a Western could have been overlooked though, if the action had been better. Campy actors with stoney expressions on their faces who talk a lot about revenge, forced marriage and tribal duties is not enough. 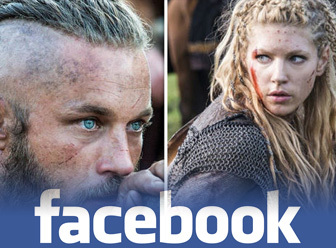 The names are good though; Karin, Athor, Harald and Hagen sound acceptable. The movie is slow and not enough Viking, and not cheesy enough to be fun, so only for Viking or Bava diehards.